Perhaps the most important choice one faces when considering an end-of-life scenario is where the final weeks and months will take place. Most people diagnosed with a life-limiting condition prefer to remain at home for as long as they can. The familiarity of these surroundings – and the close company of family and friends – often offers an extra measure of comfort during a difficult season. But many who consider this option wonder about their ability to deal with the medical side of their loved one’s needs. Hospice care provides the crucial support that is often necessary to make your home a viable choice for your loved one’s final days. If you and your loved one have come to this decision, there are several factors to consider in order to prepare yourself and your home to minimize stress and maximize your loved one’s quality of life. While your home will be a source of deep comfort throughout these days, you may need to change or even remove some elements to enable the best quality of care for your loved one. Your hospice care team can advise you throughout the process of preparing your home for this time. A key consideration is ease of access to necessities of life. Sleeping, eating and bathing arrangements should be thoughtfully implemented. Perhaps specialized equipment is needed. Handrails and ramps may need to be installed. Some rooms of the home may serve a different purpose for a time in order to provide an environment that best accommodates all concerns. If the patient requires medical equipment such as a wheelchair or portable oxygen, consider travel paths and electrical outlets when placing furniture and deciding on locations for daily activities such as eating and entertaining visitors. In the event that your loved one is largely confined to a bed, talk to them about where they want to spend their time. Photos, a special window view, longtime decorations – what are the things that make your home unique? If your loved one cannot easily be moved, look for ways to incorporate familiar items throughout your home into one central place. Remember, this is an ongoing process. As your loved one’s condition evolves, their needs may change – and you have the ability to adapt to those changes. The biggest advantage of going through this season at home is that it is your home. You know it best, and you can make it work for you. Take care of the caregiver – you. If you are the primary caregiver or share the responsibility with just a few others, caregiver burnout is a real possibility unless you take steps to take care of yourself. While much of your household will be arranged to accommodate your loved one’s needs, it’s important to maintain a space in your home for yourself that allows you the opportunity to rest and recharge. And make time in your schedule to do just that. If possible, plan frequent breaks with family members and close friends – as well as any appropriate hospice team members –coming alongside you to share the responsibilities and day-to-day tasks. Feelings of guilt are common among primary caregivers – especially spouses – who find themselves unable to provide for their loved one’s every need around the clock. But those who try to do so very often discover that the quality of the care they provide suffers. 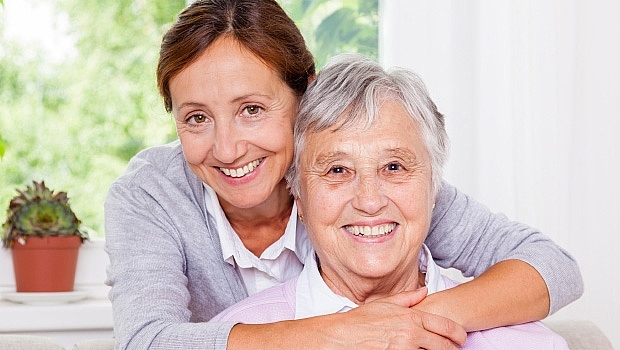 Sharing some of the responsibility is best for both the patient and the in-home caregiver. Work with a support team. During this time your hospice care team will work closely with you and your loved one. Diet, medication and mobility assistance are all areas in which they can offer expertise. Usually your loved one’s primary physician also remains closely involved and coordinates with this team of care providers. Team members are available to visit your home to provide essential care such as pain management, administration of medications, advice on home arrangements and basic training in the use of any equipment deemed necessary. Other hospice care providers can offer counseling or in-home care of your loved one that allows you time to address your own needs. These team members – from medical professionals and social workers to chaplains and volunteers – each have a vital role to play in your loved one’s final season of life. Feel free to call them with any questions and utilize the resources they offer. Together you, your friends and family and your hospice care team can provide the highest quality of life for your loved one. Your home can be a place of rest and peace. And your own experience can be filled with the comfort that you are giving your loved one the best care possible.